Much like the Protege Barrel, the Protege Bell was specifically designed to meet the needs of student and intermediate players by improving the overall tone and response of the instrument. Can a bell really do this, you ask? You have to play and hear it yourself to truly appreciate the difference. 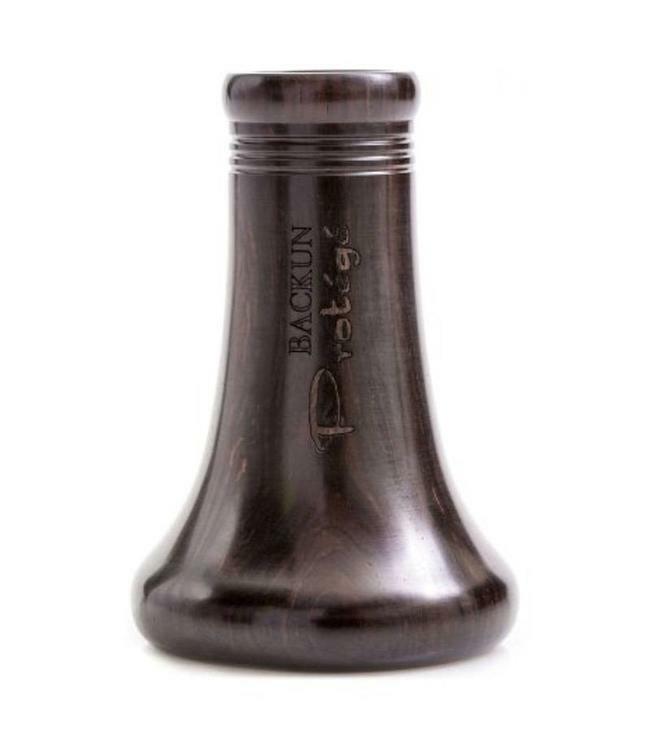 Crafted from the same individually selected woods as other Backun products, the Protege Bell has the unique Backun Voicing Groove incorporated into the design, helping players achieve the best sound possible. Aspiring to perfection just got a lot easier. For Buffet/Leblanc/Yamaha Clarinets only. Adaptable to both Bb and A Clarinets. The Backun Voicing Groove is standard on the Protege Bell.